You may love the spacious filing cabinet and the ‘cool’ new office furniture brand, but if it makes your space too full and clunky, you need to give it all a miss. While buying any furniture you must carefully see where it will go and whether it is all right for the space. For instance, a big conference table will be of no use if it takes up too much space in the room allotted. Look for a smaller size or a different design. 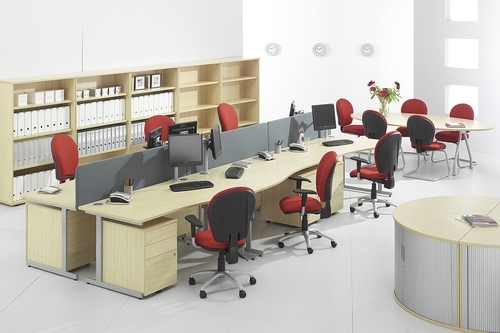 Office furniture trends are always changing and so is the very character of the office space. The rapid development in technology itself will bring about changes that will make today’s furniture dated in just 10 years. For instance, about a decade back we were still working in large cubicles that housed CRT screens. Now we have flat screens that take a fraction of the space. The cubicles have also become more ‘open plan’. So, look for more flexible options in the UK office furniture market, pieces that will be easier to adapt with change. Ultimately, your employee motivation must be the key when furnishing or refurnishing an office. Particular attention must be paid to employee comfort and convenience. If these two criteria are not met, the actual users — your employees — will simply not be motivated enough to work to their full potential. Every office today needs certain technical support — from a printing machine to computers. The furniture must be designed in a way to accommodate this key equipment. For instance, there must be outlets provided for cables, or to house different electronic devices. Each office will have its unique requirement and its critical that this must be decided prior to buying the furniture. The UK business furniture market is not exactly cheap. So, there is always a temptation to cut costs and look for the cheapest version. But keep in mind that you will get what you pay for. Anything that is too cheap or below the market price will have the corresponding quality and you will be stuck with furniture that breaks up or starts malfunctioning in just a few months.